Gone are the days of heading into an musty-smelling community hall for a round of bingo. Fun fact: It’s also Sadiq Khan’s favourite building in London. 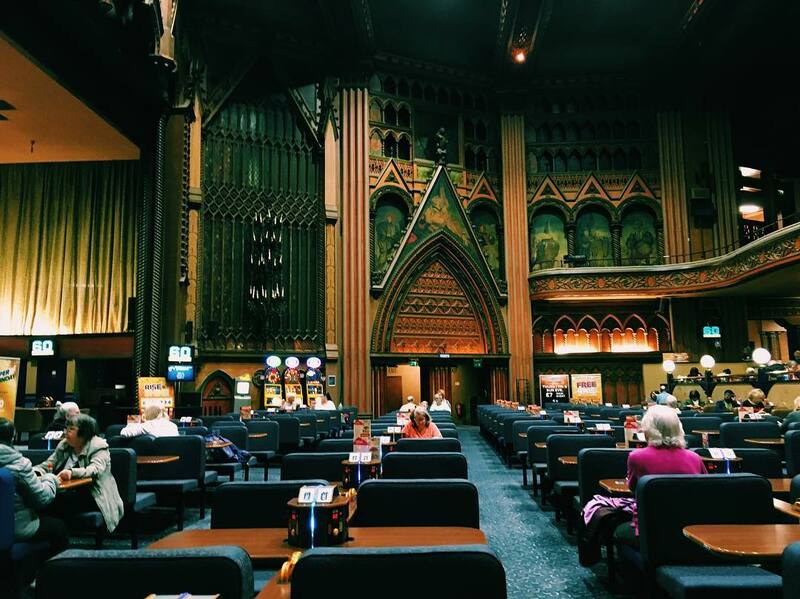 This bingo hall’s life started back in 1931, when it opened as the Granada theatre and cinema. The first-ever screening was the American comedy film Monte Carlo, and the building was a popular choice for locals for 10 years until it became a music venue. 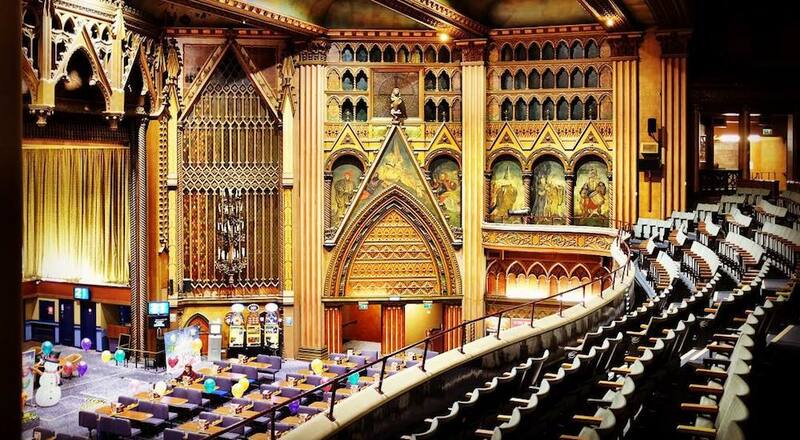 Since then, it’s undergone renovation after renovation while playing host to the likes of The Beatles, Frank Sinatra, and the Rolling Stones. And if you’re wondering why the outside of the building is quite typical but the inside is so…extra, keep in mind that the architect wanted cinema-goers of the time to consider Granada a “religious experience”. We have Mr Theodore Komisarjevsky to thank for the grand, gothic interiors and inability to walk around without getting a bit overwhelmed. In a desperate attempt to stop the building being demolished in the 1970s, Tooting Council applied for listed status. 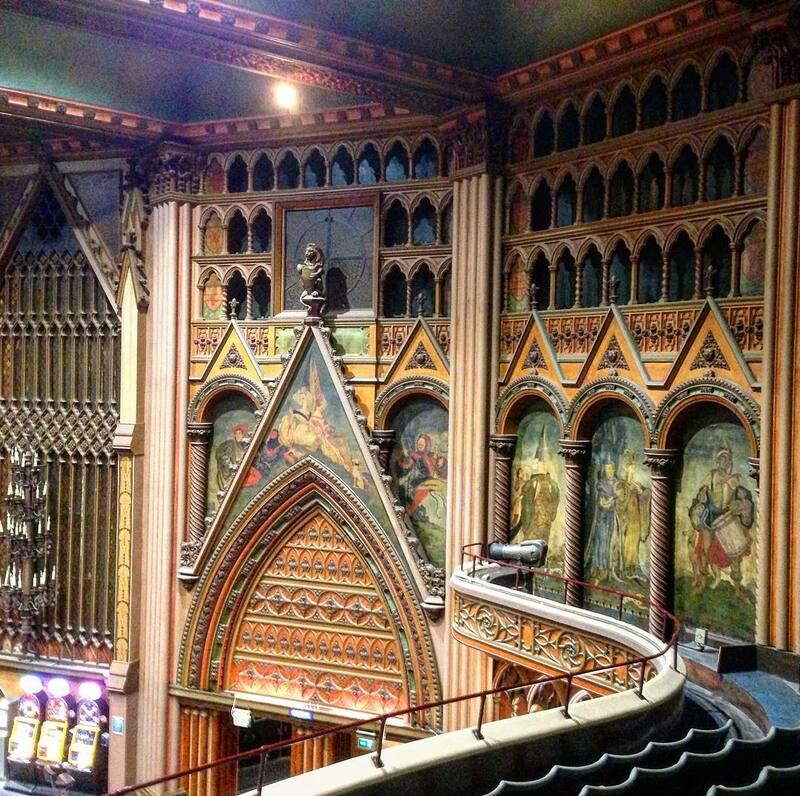 Now, it’s the only Grade I listed building in Tooting and the only former-cinema of its type to carry the title. Its former patrons might not have spent their visits shouting “All the sevens; seventy seven!” but that doesn’t mean you can’t. 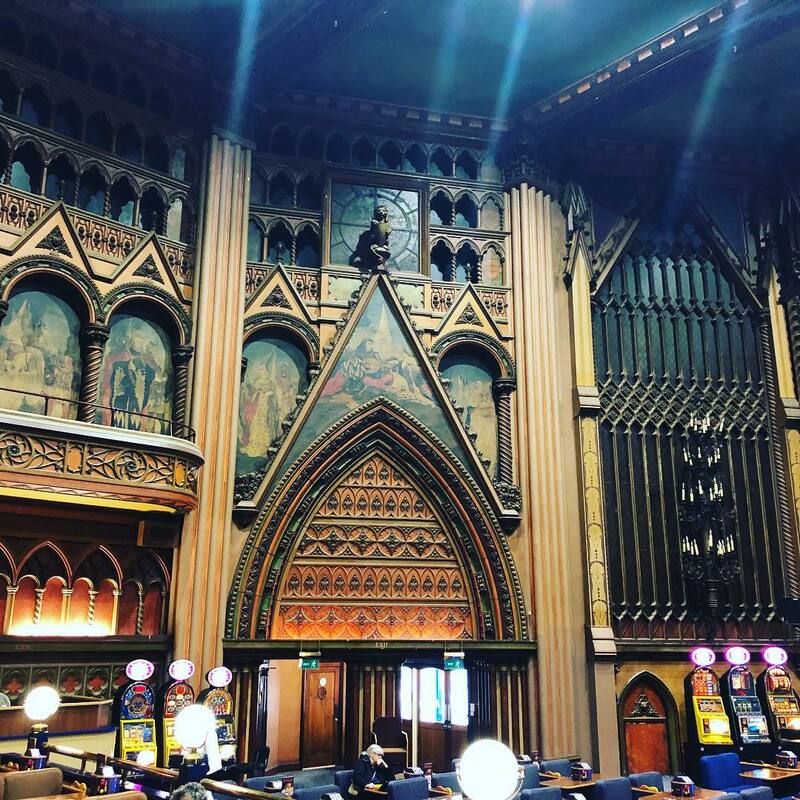 The beautiful interiors and delicate paintings on the walls makes this venue not only an “asset of community value” but also one of the fanciest London locations where you can walk out £50 richer just by screaming a few numbers. 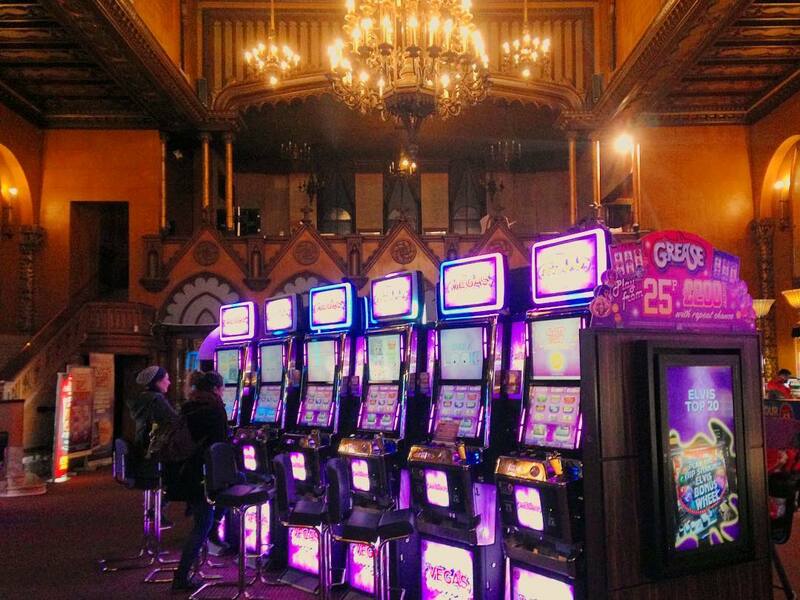 All that’s left is to round up your pals, grab a pew, and ‘pray’ that you’ll leave with some winnings. Location: 50 Mitcham Rd, London SW17 9NA. Nearest station is Tooting Broadway. Opening hours: Monday – Thursday 10:30am – 2am. Friday & Saturday 10am – 3am. Sunday 11:30am – 3am. Afternoon sessions start at 12:25pm and the main event is played from 1pm. See website for exact dates. Entry: Tickets start at £7. Optional extras range from £1-£3 each. You might also be interested in Drag Bingo at Brixton Jamm. It’s a totally outrageous night out!